Synopsis (from Author): Abbi Hastings had never been fearless. She'd been firmly entangled in her small town roots her entire life until an unexpected inheritance provided her a chance to escape. As she took the only opportunity she’d have to get out, Abbi left her world behind and boarded the plane with her one way ticket to Los Angeles. Relentless and fighting for her own independence, it all goes to hell when fate throws a twist into her plans. Everything changes the day she accidentally falls into the arms of Ryan. 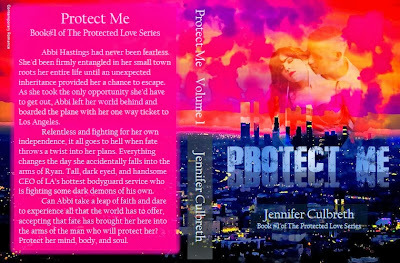 Tall, dark eyed, and handsome CEO of LA’s hottest bodyguard service who is fighting some dark demons of his own. Can Abbi take a leap of faith and dare to experience all that the world has to offer, accepting that fate has brought her here into the arms of the man who will protect her? Protect her mind, body, and soul.